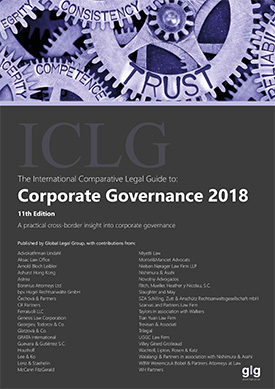 In order for Japanese companies to achieve sustainable growth and enhance their competitiveness they need to ensure that they establish appropriate corporate governance systems, which are systems to ensure that their decisions are transparent, fair, timely, legal, and decisive. In addition, listed companies need to ensure that such systems are up-to-date, as the laws and regulations in this area are constantly changing, such as the Companies Act reform in 2014, and the formulation of the Corporate Governance Code in 2015. Our firm provides a wide range of practical advice with regard to, among other things, the administration of shareholder meetings, company organization structures, disclosure, the administration of the board of directors, and board evaluation. 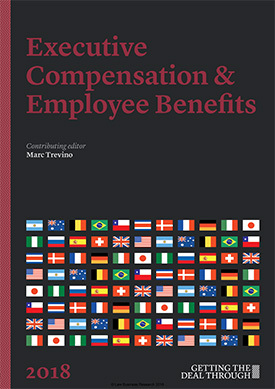 In addition, our firm provides, based on leading-edge and professional knowledge, advice on the reform of compensation structures for corporate executives, including performance-based compensation and stock incentive plans, D&O insurance, and company indemnification. In addition, our corporate governance team is able to provide an evaluation of the effectiveness of a company’s board of directors and can be truly active in the company's sustainable growth. Due to the enforcement of the corporate governance code and the full implementation of the ESG, the importance of evaluating the effectiveness of the board of directors of listed companies is increasing. In order to truly evaluate the effectiveness of a board of directors, it is important to consider the way the board of directors should be used to achieve sustainable growth for the company and to improve medium and long-term corporate value. Furthermore, in the process, it is necessary to thoroughly understand the purpose of each of the principles stipulated in the governance code. With regard to the “defensive” aspect of corporate governance, such as countermeasures against matters that may adversely affect the company’s management, our firm also provides a wide range of advice on internal control systems and response plans after the revelation of such matters. We also advise on Post Merger Integrations (PMI). 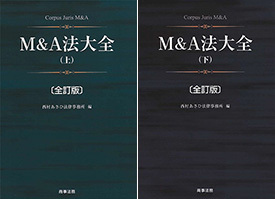 Further, with regard to the formulation of legal frameworks our firm pro-actively engages in various actions to enhance the corporate governance of Japanese companies, by promoting “growth-oriented governance.” Our firm’s commitments include serving as a member of several governmental councils, such as the “Council of Experts Concerning the Corporate Governance Code” of the Financial Services Agency (the FSA), and the “Corporate Governance System Study Group,” the “Study Group concerning Promoting Dialogue between Companies and Investors for Sustainable Growth” and the “Working Group on General Shareholders’ Meeting Processes” of the Ministry of Economy, Trade and Industry (the METI).